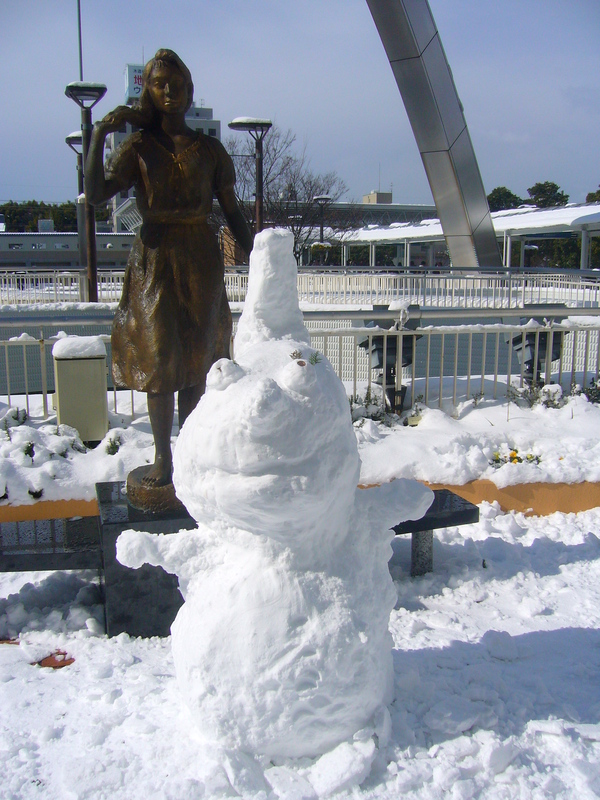 Yesterday it snowed in Toyota City. That’s a big deal because in this area of Japan it rarely snows. In addition to that, the amount of snow we had yesterday (about 15 cm) occurs only once every twenty years, according to my Japanese teacher. 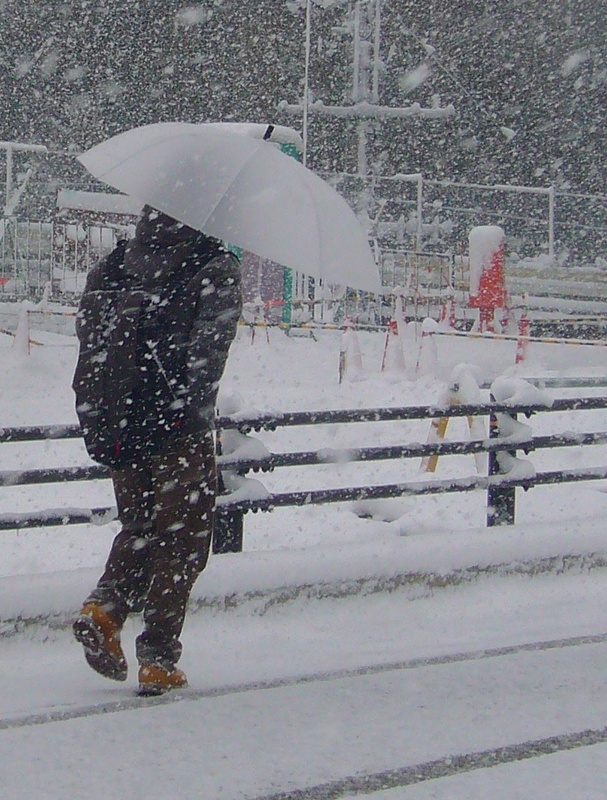 I was surprised to see that everyone in Japan uses an umbrella when it snows. In Belgium, just brushing off the snow before entering a building always seemed to do the trick. But come to think of it, snow is of course precipitation just like rain is, and I did seem to feel slightly less freezing when the snowflakes were kept away from my face thanks to my umbrella. 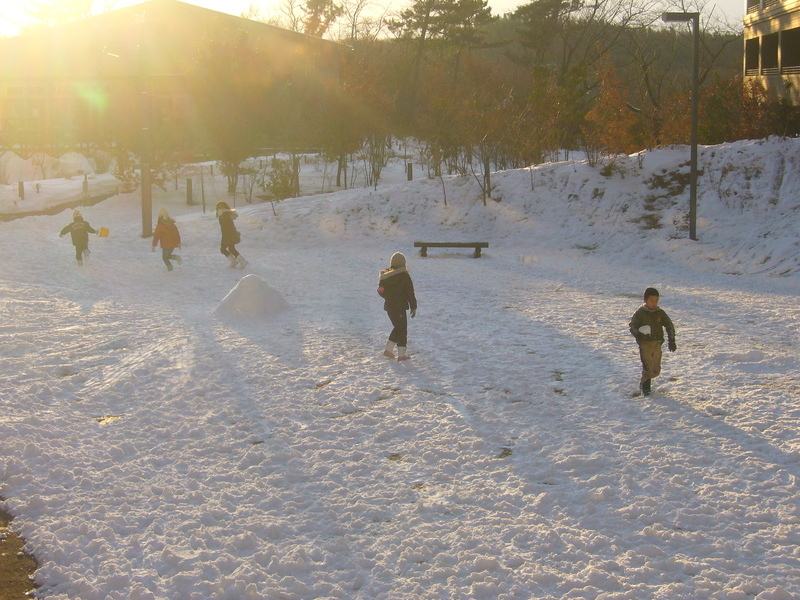 Of course Japanese kids love the snow, as I imagine kids do all over the world. I came across different snow men all day long. As you can see in these pictures, it wasn’t long before the sun was shining again. 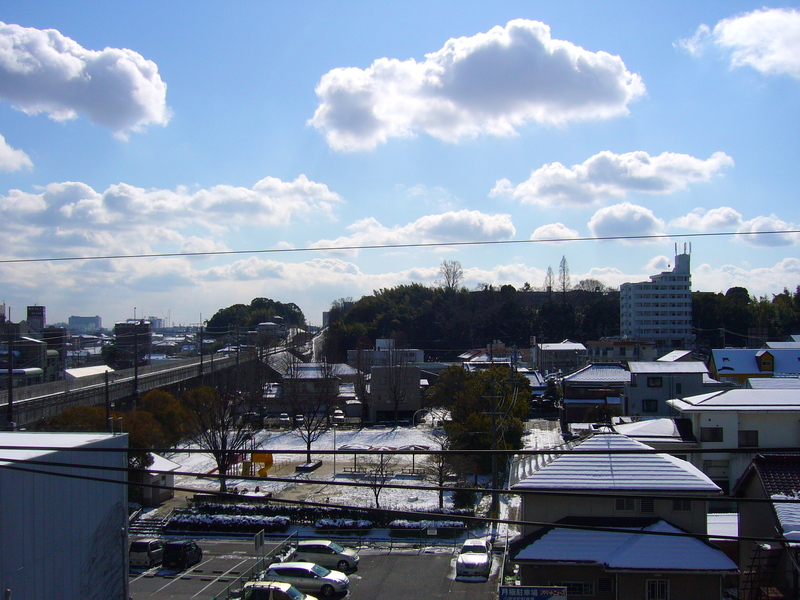 That is one of the great things about winter in this part of Japan: lots of sunshine! In Belgium people often suffer from the ‘winter blues’ due to lack of sunshine. In Japan, all along the Pacific coast (the area called ‘Omote-Nihon’), winter is sunny and bright. 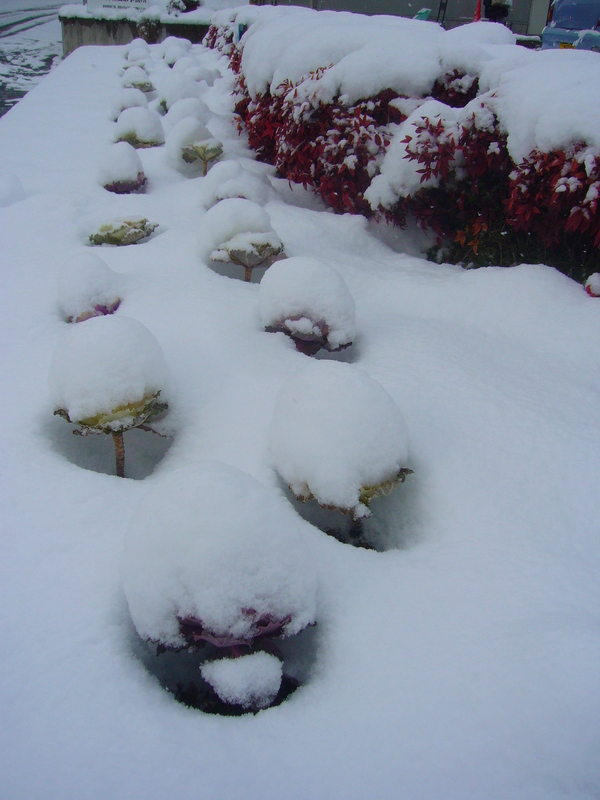 On the Japan Sea coast however (the area called ‘Ura-Nihon’), they always get lots of snow, even up to 4m high this year. This difference in winter precipitation is caused by a mountain range that runs across the middle of Japan from north to south. The humid air blowing inland from the Japan Sea is stopped at the mountains and deposits its humidity as snow or rain, causing the other side of the mountains to be virtually cloud free all winter long. This entry was posted in Japan and tagged Children, Flowers, Geography, Impressions of daily life, Maps, Nature, Snow, Toyota City, Weather, Winter by Haruko-chan. Bookmark the permalink. 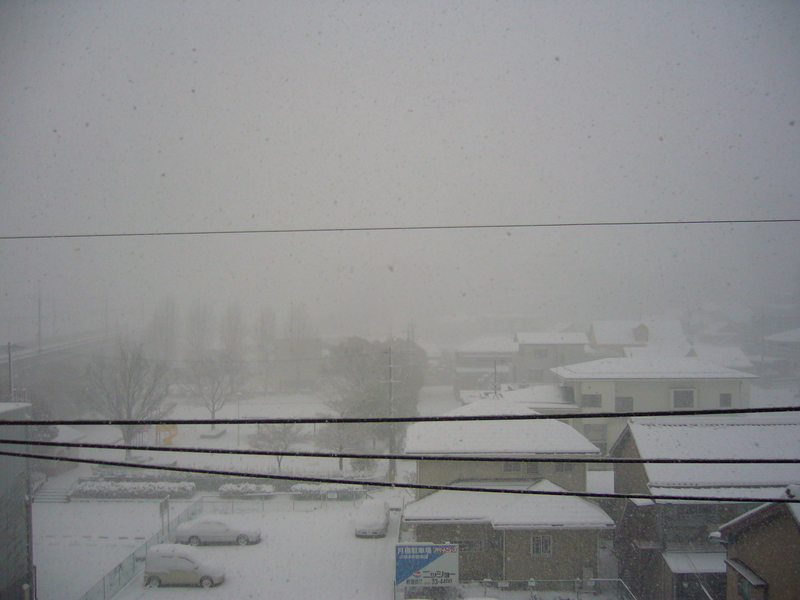 It was really heavy snow in Toyota-city on that day. I went to the company not to slip really carefully and my body was shivering with cold weather. I like to see snowing,but It’s enough only one time! I agree! One day is fun but that’s enough. After that it’s just really really cold! 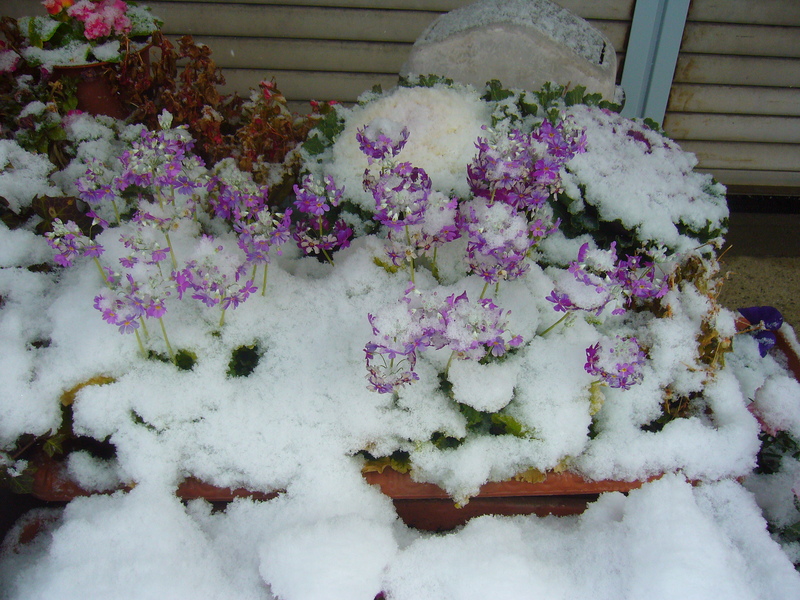 It has been a cold winter in Japan and February has traditionally been the coldest month. Lots of snow all over Japan at the moment. Wow. 15 cm is deep in a busy city!! I just came back from the south of France today and it was unusually cold up there. Was in transit in Paris and they said that the temperature was -6C and I thought, thank heavens I’m not stopping by Paris but when I got to Narita they were saying -1C. That’s too cold for anywhere near Tokyo in the morning after sunrise. Furthermore, I heard on CNN today that tomorrow in Tokyo it will be -4C. Ha! !